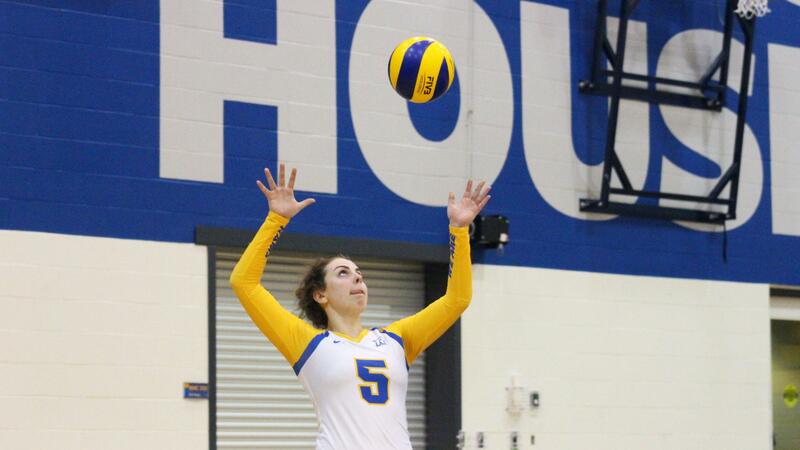 Ryerson’s women’s volleyball team powered past the RMC Paladins with a 3-0 (25-10, 25-9, 25-12) sweep on Saturday night at the Mattamy Athletic Centre. 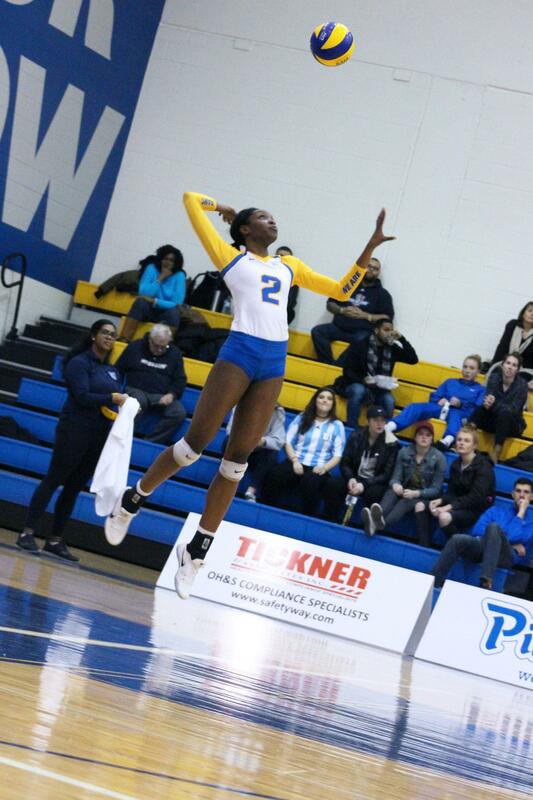 The win extends Ryerson’s win streak to five matches. 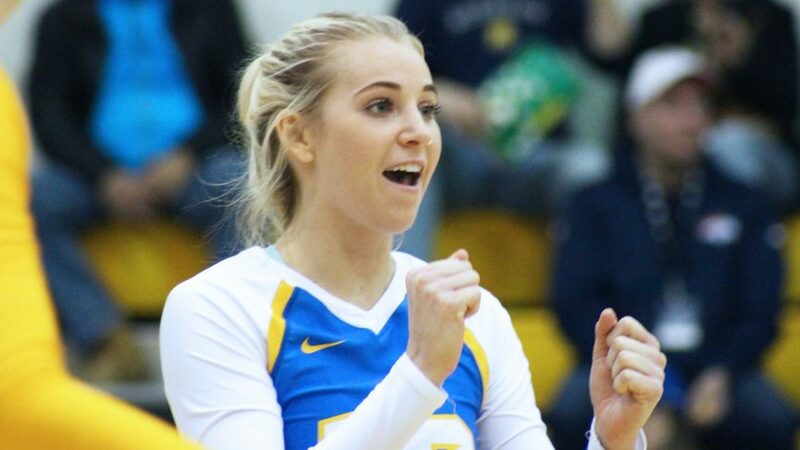 Led by the strong play of first-year setter Mady Timpany, the Rams hit over 43 per cent on the night, their best mark of this season. Timpany also finished with a career-high 34 assists. The win improves Ryerson’s record to 10-3. The Rams remain in second place in the OUA East, two points behind the undefeated Varsity Blues (11-0). The Paladins are now 0-13 and remain last in the division. The Rams cruised through the first and second sets 25-10 and 25-9, with Kristine Yan leading the way en route to a team-high eight kills and seven digs. Third-year middle blocker Theanna Vernon maintained the Rams defensively with blocks in the first set. She finished with three blocks and five kills. The third set started out with the teams evenly trading points but a few attack errors and bad sets from the Paladins gave the Rams a 10-6 edge. The Paladins took a timeout and gained a point, but back-to-back kills from Ryerson’s Lauren Veltman quashed RMC’s momentum. 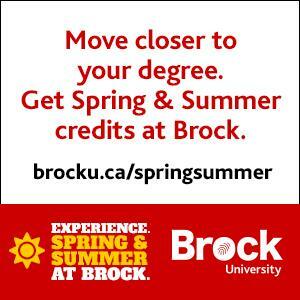 UP NEXT: The Rams will face the Brock Badgers at the Mattamy Athletic Centre on Feb. 4 at 4 p.m.